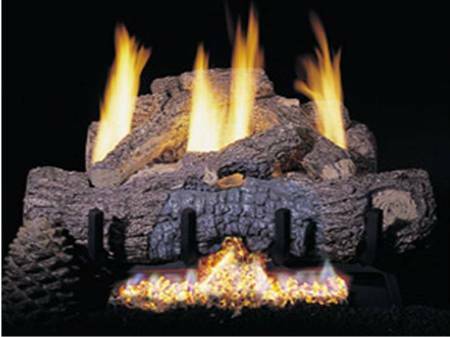 Enjoy all of the beauty, comfort and warmth of Peterson Real-Fyre gas logs with no venting! All vent free sets include authentic wood stack, dancing flames and substantial heat to warm the room. The full natural flames use a minimum of gas, offering money-saving fuel efficency for use in an existing solid fuel burning fireplace, to burn with the damper closed for reliable, supplemental heat. May be also used in listed vent-free fireplaces.